When shopping for a new Land Rover around Rumson, you want to feel confident you’re getting the most competitive deal. 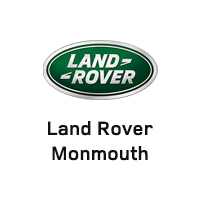 That’s why here at Land Rover Monmouth, we offer a number of rotating Land Rover lease specials. When you take advantage of our lease offers, you can rest assured you’ll be getting an unbeatable deal. Choose from aggressive lease offers on premium Land Rover models like the powerful new Range Rover Velar or a capable new Range Rover Sport with four-wheel drive and Lane Keep Assist. With so many Land Rover lease specials to choose from it’s never been easier to get behind the wheel of the SUV of your dreams. Now that you’ve shopped our Land Rover lease specials, it’s time to experience the joy of driving one. Contact us today to schedule your visit to our showroom in Ocean near Red Bank.